Thank you for choosing to donate to help homeless pets! We have limited space in our two stores, so our goal is to sell items that we know our customers want. 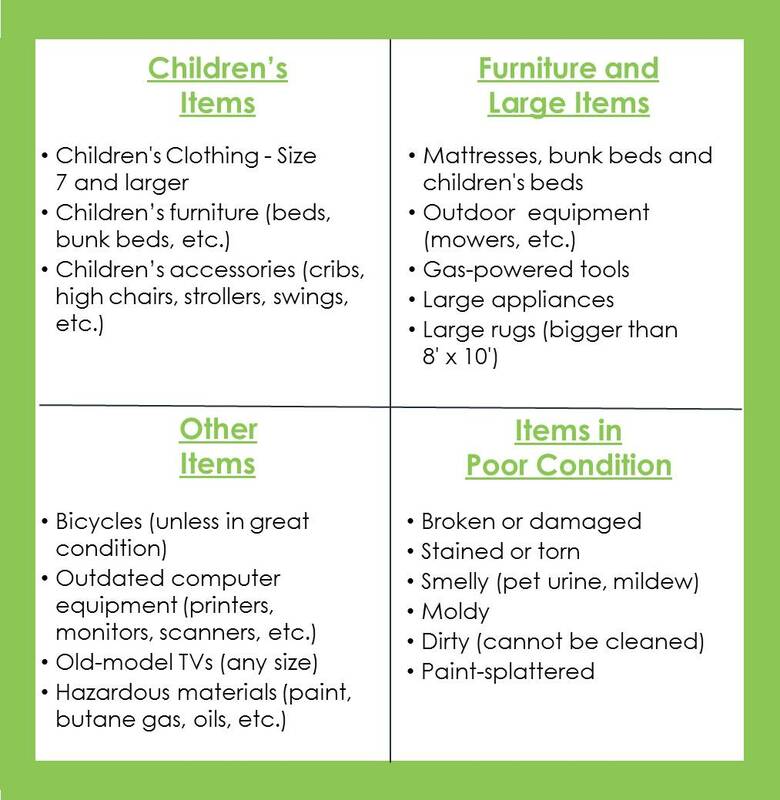 Check out our lists below of items we can and cannot accept for donations. Help us be more efficient so we can help even more animals! If you are unsure about an item, feel free to call our store at 678.974.5671 or email us at donations@secondlifeatlanta.org. 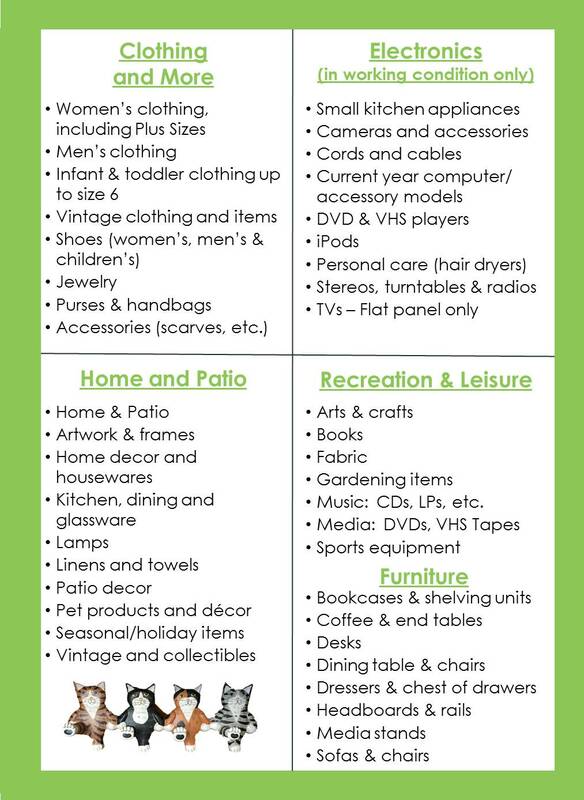 Here is a sampling of items we accept for donations. For the most part, we accept items that you would find in a home and on a patio. If you don’t see an item listed in either column, we likely accept it. We always love to be the first option for donation. work well. We do not have the resources to repair items. all parts are included, including power cords, remote controls, attachments…and so on. we appreciate if you check to make sure the items are not stained, torn, smelly, etc. Since we are still a fairly small organization, these are some items we are not able to accept – due to low demand, safety & liability concerns, regulations or space limitations.